Starting a new job can be exciting, nerve-racking and even scary. Unfortunately, it can also be disappointing. Perhaps you're being asked to work too many hours. Maybe you're not receiving any training. Or, worse yet, the job you accepted doesn't look anything like the job you're actually doing. 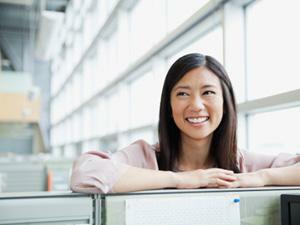 As a new hire, what should you do when a new job isn't what you thought it would be? Use these tips to navigate the rough waters in your first weeks. If things aren't going at all as you'd planned in your first few days or weeks in a new position, your instinct may be to hit the panic button and quit or begin a covert job search. Resist the urge to make a dramatic decision or rush to judgment. Rather, analyze what's making you feel like you've been duped. Create a document listing what you were told or had expected versus what the reality of your day-to-day at the company is. Talent retention is an issue these days, and your manager likely doesn't want to be short-staffed. Debbi Titlebaum, the human resources director for Zingy, a mobile media company, advises opening a dialogue with a manager. She suggests going to your boss and saying, "I've only been here for a few weeks and it's not what I was expecting. Can we talk about what my responsibilities are and how we can change them to include more of what we agreed upon?" If your boss is unable or unwilling to help you, you should then seek advice from human resources. No one understands how difficult it is to find talented employees better than a human resources professional -- which gives you a valuable and knowledgeable ally in your plight. Titlebaum, who has worked in human resources for more than 12 years, advises, "If a job isn't exactly what you expected there can be a lot of valid reasons. If you communicate your dissatisfaction to your manager and to HR, there's probably a way to make it work." Are long hours conflicting with childcare? Ask about flextime. If you need more training, find out how you can get that. Is a position less glamorous than you thought? Ask for some additional, more compelling responsibilities. If the position itself remains a bust despite everyone's best efforts, you may still have a future at the company. "If an employer is dealing with a good employee, they are going to want to hold onto her," Titlebaum says. "Depending on the size of the company, they may be able to use her in another capacity." Sometimes when a job isn't what you thought it would be, leaving may be your only option. If this is true, find a new job first to avoid a resume gap. Also, treat your employer with respect and professional courtesy (even if you weren't treated that way) when leaving, so you don't burn any bridges. To avoid a similar situation in the future, Titlebaum suggests always requesting a comprehensive job description before accepting an offer. "A written job description ensures that you and your supervisor know what your responsibilities will be," she says. And, be sure to ask your future manager to describe a typical workday and work week so that you have a better understanding of what your daily professional life will be like.